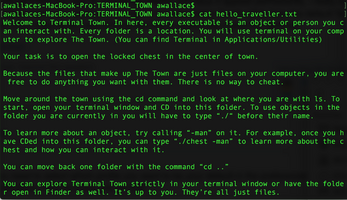 Terminal town is a small, experimental puzzle that exists as a series of mysterious & personified command line tools. Every executable is a person or a tool and every folder is a place. 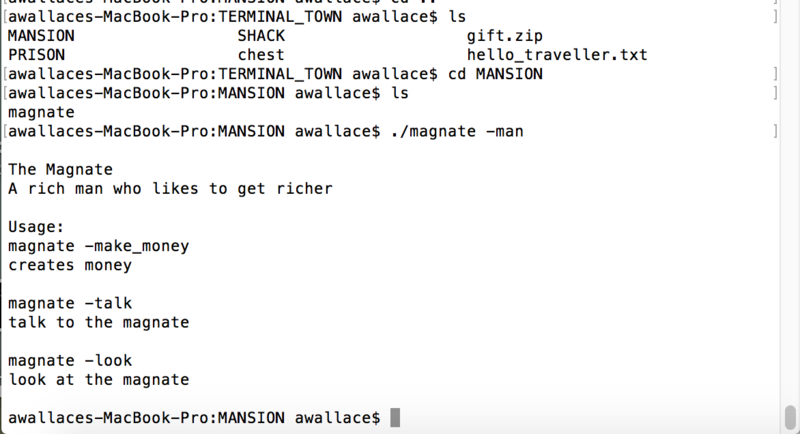 To open the chest (a command line tool) in the center of town, you will have to learn how use the files that inhabit the town. There is no way to cheat. 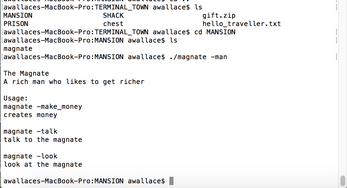 Everything in the game is just a file on your computer and can be treated as such. 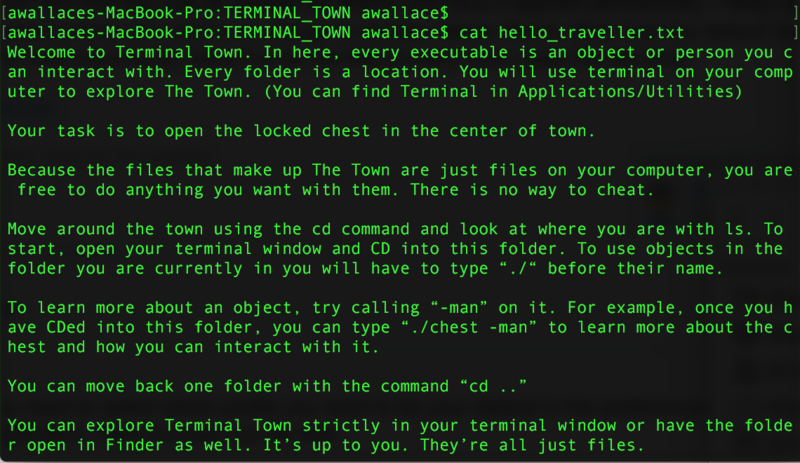 While some experience with the terminal is probably helpful, the game does not require anything intense, and this could be a fun way to learn about a powerful part of your computer that you are less familiar with. Few games have made me laugh this hard, even though it was so short. I spent a solid minute trying to figure out how I was supposed to break the prisoner out of jail before I realized how obvious it was! Enjoyed this game, short but neat concept. Made a video for those who do not have macOS.